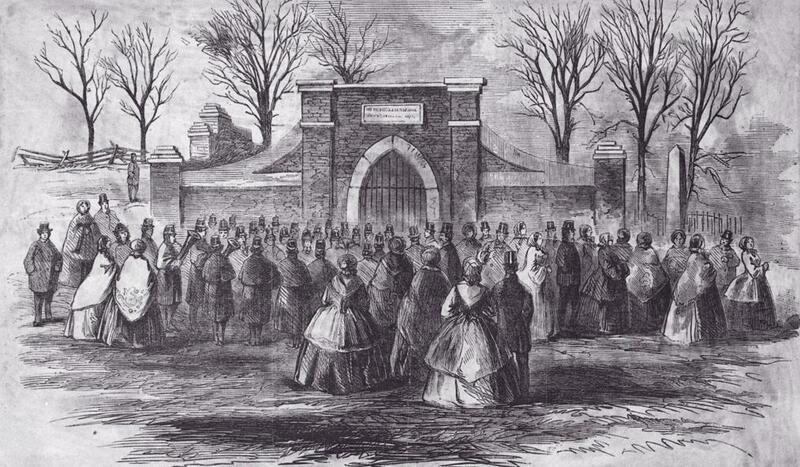 In the years of the early republic, Washington’s tomb served as an important site of pilgrimage. 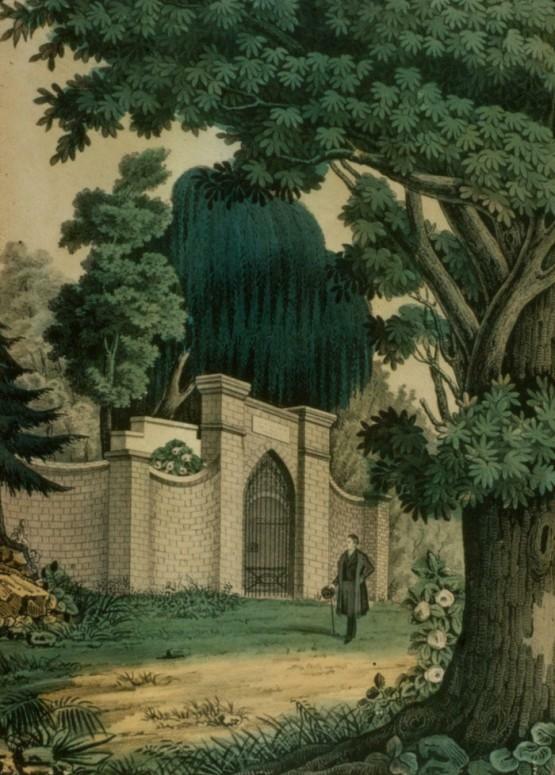 One of the earliest prominent visitors to Washington’s tomb was his close friend, colleague and military partner during the American Revolution, the Marquis de Lafayette. Writing in 1827, Lafayette’s personal secretary described a visit to Washington’s tomb, explaining that: "Lafayette descended alone in the vault, and a few minutes thereafter reappeared, with his eyes overflowing with tears. He took his son and me by the hand, and led us into the tomb... We knelt reverentially near his coffin, which we respectfully saluted with our lips; rising, we mingled our tears with his.” Lafayette visited Mount Vernon several times during 1824 and 1825 as part of his celebrated Triumphal Tour of America. However, the Nathaniel Currier print shown here is inaccurate, as Lafayette’s visit to Mount Vernon occurred thirteen years before Washington’s re-internment in the New Tomb which is shown in the print. Lafayette instead would have paid his respects to Washington at his original burial spot. Remarkably, King George VI’s visit to the United States in June 1939 was the first time a reigning British monarch had ever been to America. 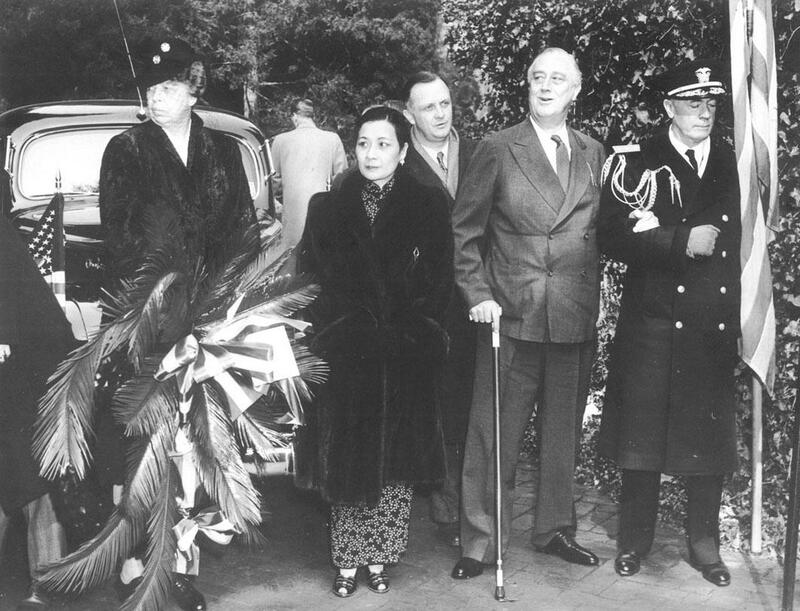 The visit was part of Franklin Delano Roosevelt’s desire to ensure close relations between the two countries as Europe descended towards war, while also building public support for increased American aid to Great Britain. On the second day of the royal visit, the King and Queen sailed the Potomac River on the presidential yacht and visited Mount Vernon where they laid a wreath at the tomb, before eventually leaving to visit the Tomb of the Unknown Soldier at Arlington Cemetery. Despite travel difficulties in the Washington D.C. area following American entrance into World War II, distinguished guests and other world leaders continued to visit Mount Vernon. 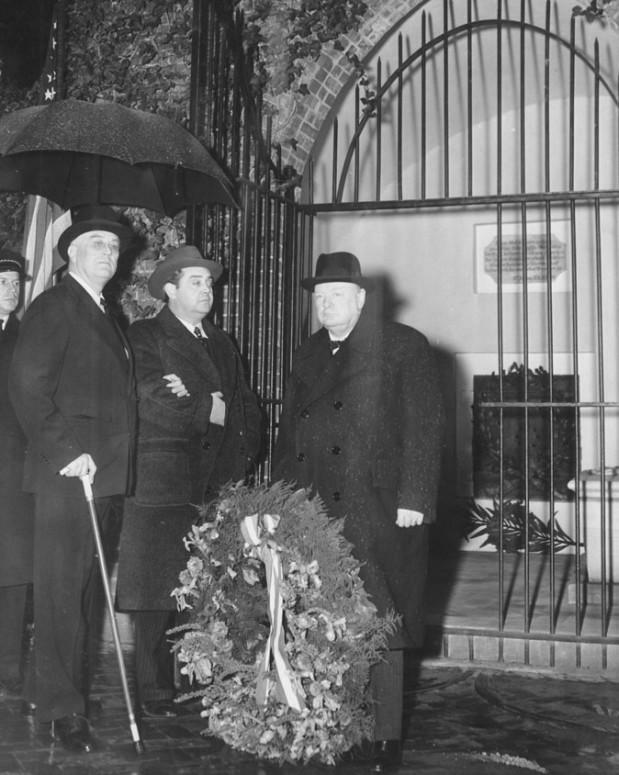 One of the first prominent visitors during this chaotic time was British Prime Minister Winston Churchill, who came to Mount Vernon on January 1, 1942, accompanied by President Franklin Roosevelt, the British Ambassador to the United States Lord Halifax, and other officials. After placing a wreath at George Washington's tomb, the group went to the mansion where both Churchill and Roosevelt signed the guest book. 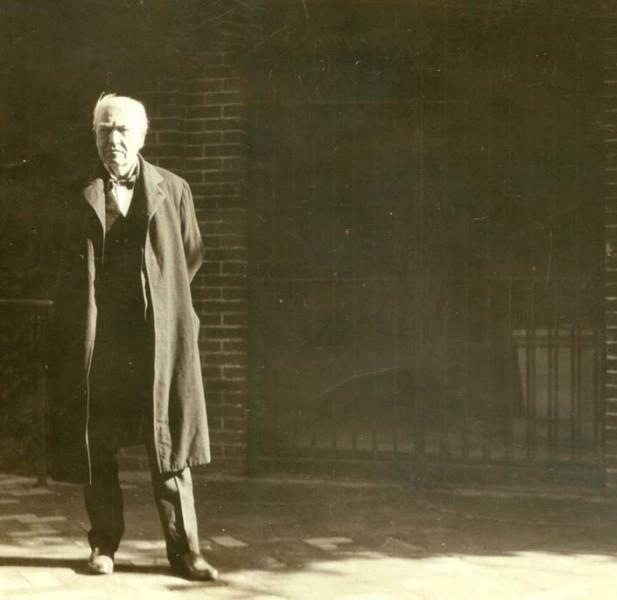 Just four days before visiting Mount Vernon, Madame Chiang addressed both the Senate in their chamber and the House of Representatives in order to present China’s case for increased American support during the war. The appearance was historical in nature, as it was the first time that a Chinese national addressed the Congress, as well as the first time the body had been addressed by a private citizen. Additionally, she was just the second woman to address both houses of the American Congress. 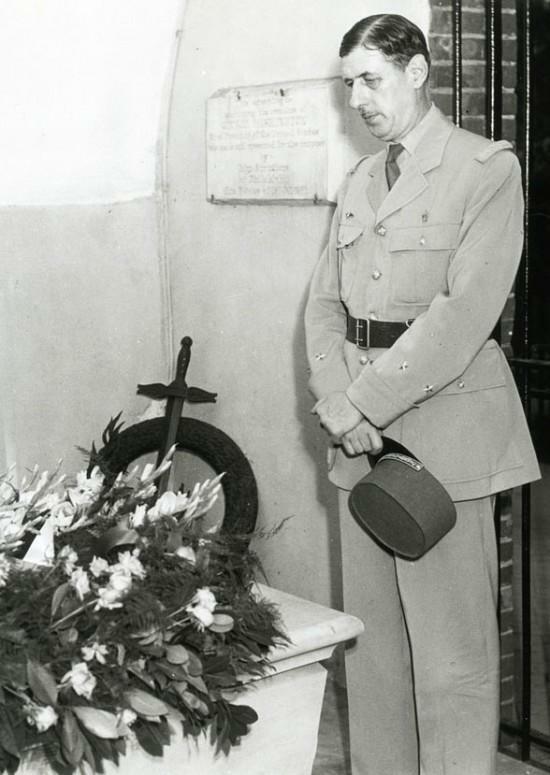 Madame Chiang’s visit to the tomb on February 22, 1943, occurred on George Washington’s 211th birthday. 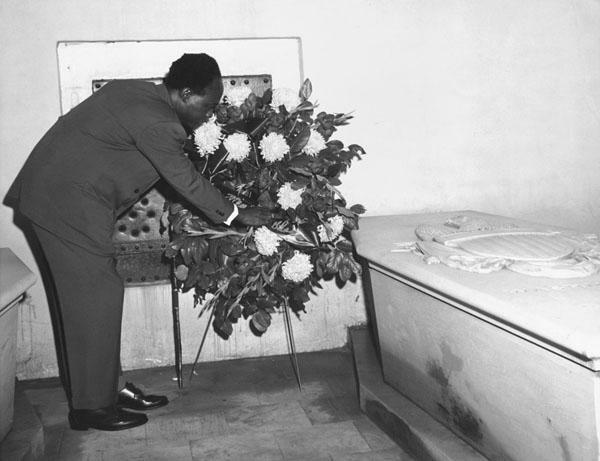 Visits to the tomb by heads of state have continued into the twenty-first century. 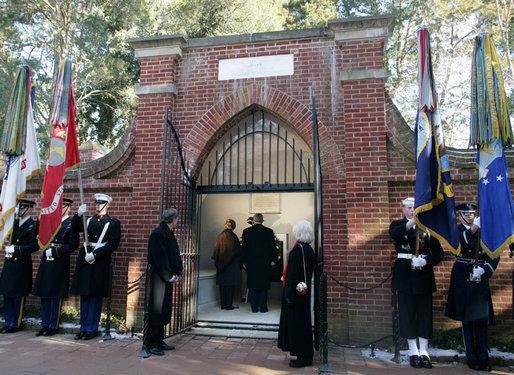 On February 19, 2007, President George W. Bush and First Lady Laura Bush visited the tomb in conjunction with President’s Day and to recognize Washington’s upcoming 275th birthday. Speaking at Mount Vernon, President Bush reflected on Washington’s contributions to the presidency, noting that “As President, George Washington understood that his decisions would shape the future of our young nation,” while reminding the audience that Washington “voluntarily gave up power” following the American Revolution. 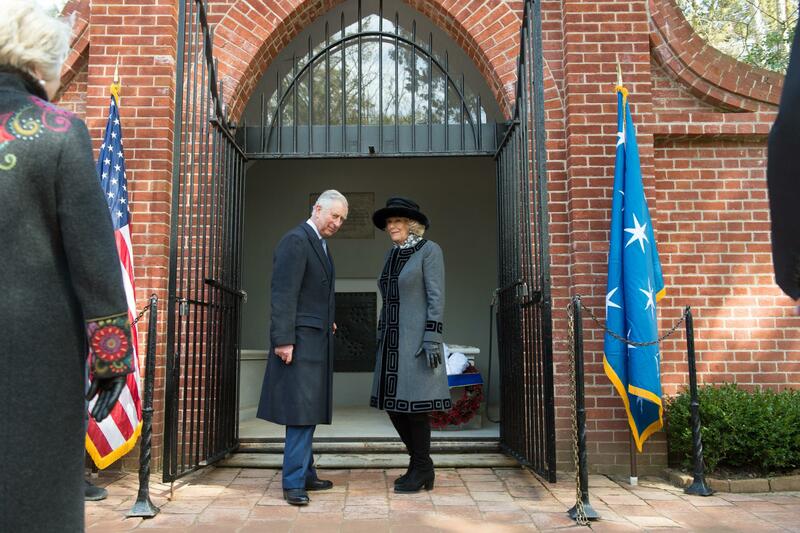 On March 18, 2015, His Royal Highness Charles, the Prince of Wales, and Her Royal Highness Camilla, the Duchess of Cornwall, visited George Washington’s Mount Vernon as part of their visit to the Washington, D.C. area. Their Royal Highnesses laid a wreath at the Tomb of George Washington as part of their tour of the estate. 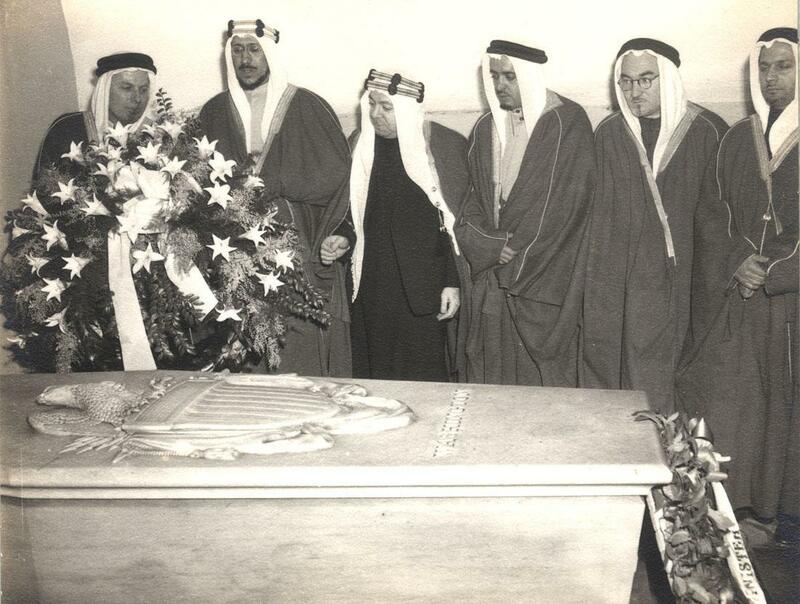 The Prince had previously visited the tomb in 1970. Near the tomb, Charles and Camilla had the opportunity to meet members of the Mount Vernon Ladies' Association. 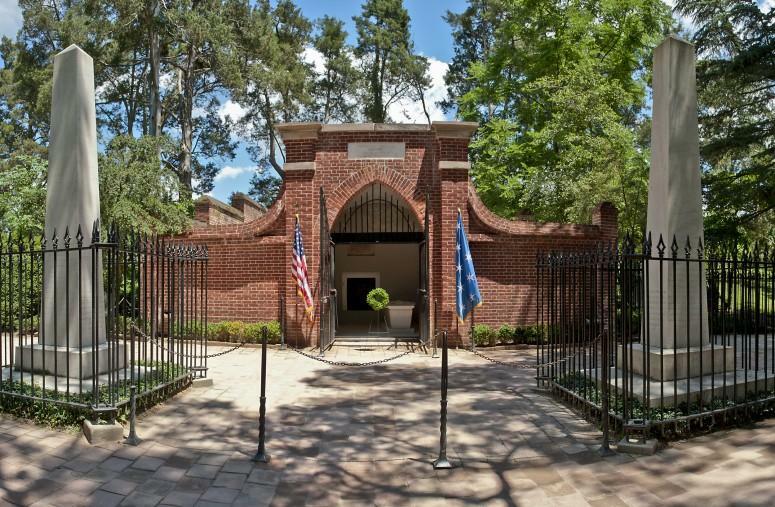 You don’t need to be a king or dignitary to visit George Washington’s tomb at Mount Vernon. Come to Mount Vernon and make your own pilgrimage. Learn more about the New and Old Tombs at Mount Vernon at our Tombs page. A special ceremony and wreath laying occurs at Washington's Tomb daily at 10 a.m. and 3 p.m., April – October, and 12 p.m., November - March. This tour is included with general admission.